I have written more over at the Grace English Bible website about the methodology and goals of my Bible translation, but let me state that one other reason I chose to prepare a new translation was cost. Most of today’s available translations charge exorbitant fees if a published or online work reprints more than a certain percentage of the translation. Since one of my goals for the Grace Commentary is to eventually write commentary on the entire Bible, this means that if I were to use a translation like the New King James (NKJ), or the New American Standard (NAS), I will eventually end up reprinting 100% of the text of those translations, and would have to pay the accompanying fee. There are a few translations which do not have this fee, such as the King James Version (KJV) and the New English Translation (NET), but I have too many translation issues with each, and had I used them for the text of my commentary, I would frequently find myself saying, “I disagree with the translation on this verse, and here is why.” I think this would become tiresome to write, and more importantly, tiresome to read. So I chose to prepare my own translation, the Grace English Bible. It is free to use, and best of all, since it will primarily be an online translation, I can change it any time I want to reflect new insights into Scripture, or any corrections that might be necessary as I learn more about the nuances of Greek and Hebrew. You, as the reader, can help as well. 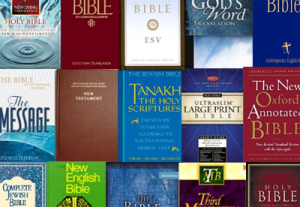 If you do not like the way a translation is worded, or think there might be a better way to turn a phrase, simply go to the proper web page at the Grace English Bible website, and leave your suggestion as a comment. I look forward to seeing how this translation of the Bible evolves over time.